Enter your email address below to receive a notification when Benevolent Beauty Box starts accepting new sign-ups! Enter your email address below to receive a notification when Benevolent Beauty Box is accepting new sign-ups again. Use code WELCOME at checkout for 15% off your first box! 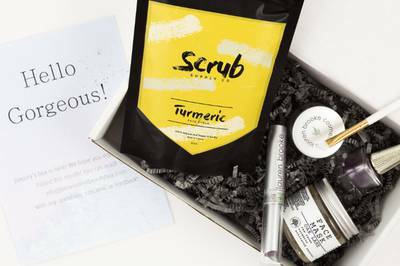 Your box will ship on the 15th -18th of every month. Please order by the 22nd to get the current box. It's can be time-consuming to search for beauty products that are cruelty-free, which is why we do the work for you. We offer a monthly subscription service for 100% cruelty-free beauty products. Each box is curated to your profile that you fill out before check-out! The items are primarily cosmetic products but will include a touch of body care, hair care, and tools. We even offer a variety of monthly plans so that this subscription can fit into virtually any budget! Finally received the first package. It isn't a "box". It was in a plastic mailing envelope. I guess I can live with that, but it doesn't seem like a typical subscription "box". The products are nice enough, there were 4, all full sized. Nothing was broken (luckily as they weren't packaged well). OK colors. The lipstick seems very nice. My real problem is that the company are very inefficient and worst of all unresponsive to communication. I got repeated notifications about shipping, when they hadn't actually shipped yet. They send a notice saying the package has gone for a label, then you wait like 2-3 weeks after that before it actually ships. By the time they actually did ship, they had charged me for a second box - even though I hadn't received the first one yet! I cancelled the subscription. Too bad as this seemed right up my alley (cruelty free makeup and skin care), but not worth the aggravation. And I don't like being charged a second time before I have seen the first package - that really turned me off. Shipping was terrible. Was billed twice before I got the first box. Same thing happened the following month! It’s a shame because they are great products :( be prepared to wait..... . . I received the 3 month prepaid subscription plan. Overall I was very pleased with the 3 boxes I received. The items in the box were of high quality and the price of the items in each box was atleast $30 over the cost of the box so I was really satisfied with that aspect. Why I gave 4 stars instead of 5 is due to some of the items I received from the first box were also in the other boxes. I like subscription boxes so I can get introduced to brands I would not be aware of otherwise so when I get duplicates/same brands I get kind of disappointed because I can purchase the items and like to get new brands and products every time. I loved how the products were all natural and effective. 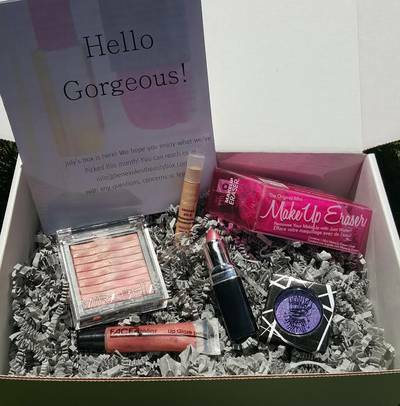 I am not sure if I would subscribe for myself (unless there was a great promotion going on) but would most likely order a Benevolent Beauty Box for a gift.